Enjoy the perfect introduction to the magic of ancient Egypt in just one day on this small-group tour. Forget haggling with taxi drivers and relax as your guide collects you from your door and accompanies you to the Giza Pyramids, the Great Sphinx, and the Valley Temple. 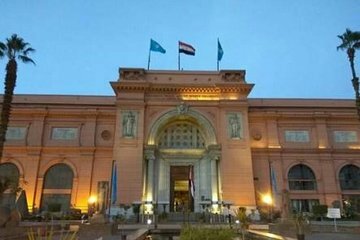 After you’ve soaked up these ancient structures, go deeper at the Egyptian Museum, home to incredible artefacts from animal mummies to gold jewelry.